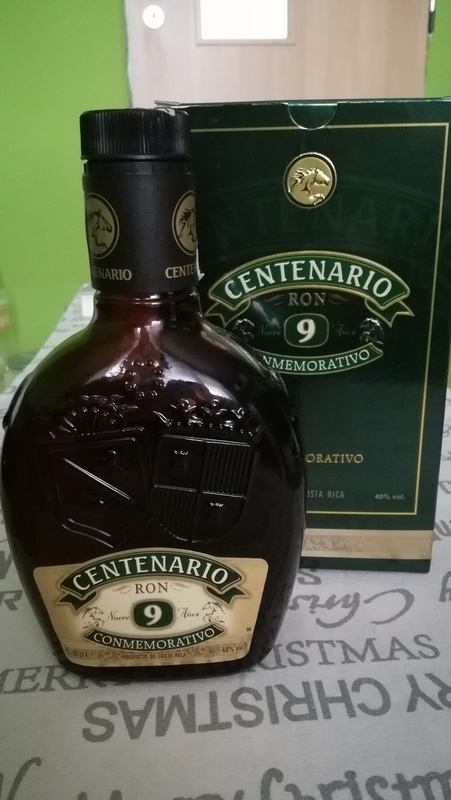 Have you found an online vendor selling Ron Centenario 9-Year? Shrnutí: Investice 432 korun v akci u Vykupto (díky Jerry! )nelituji, vzhledem k ceně se jedná o dobrého společníka na všední nenáročné popíjení. Běžná cena je kolem sedmi stovek, tolik bych za něj nedal, v této cenové třídě se už dají sehnat rumy mnohem lepší. Přímo jsem srovnával s Matusalem 10y, který se prodává za stejné peníze, jako Centenario v akci, a Matusalem byl v chuti vyrovnaným soupeřem, ve vůni pak jasně lepší. Picked up in NH state store at $24.99. For the price, this Centenario is not bad. I have had other rums at higher price and they did not meet the level of this one. Nose is pleasant, Warm taste, easy finish. Comparing this to Bacardi 8 at the same price point, this one is definitely one to try. The only surprise was the twist top and slow pour bottle. 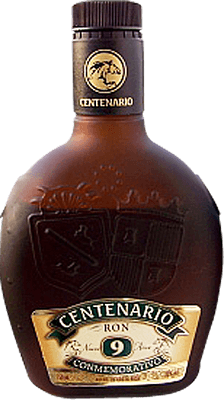 I have tried rums from Centenario aged 7, 12, and 20 years. By far, this one has the best taste and value over all those other ones at only $24 US. Since this one is very hard to find any more, their 12 year would rank as a close second. I could have also bought their 25 year yesterday, but after a bad experience with their overly sugared 20 year, I wisely left it up on the shelf. This one is indeed dry and it is easy to see that it has no additives. Notes of wood and vanilla greet the palate. with the burn kept to a bare minimum. I must hand it to this distiller for being honest on their age statements because these are not from the solera system. Weich und rund im Geschmack, leider dadurch auch etwas Austauschbar. Ein Rum für so vor dem TV. Simple rum. Nothing special. Too strong in mouth for me. This one went on sale and I'm an aged rum guy. I'm no connoisseur but I know what tastes good to me when I drink it on the rocks. The flavor was good but it's not as smooth as others in this price range. I could definitely be happy with this one but I'd rather drink Bacardi 8 at this price point. Nothing special but perfectly fine for a mixer and an occasional sipper. Conmemorativo takes a lot flavour from oak barrels, which were previously used for whiskey and brandy. The aroma and the flavor make it a little sharper, but still sweet. The barrels also give this rum a pretty amber color and a fine smoky aroma. For a good price, you will not get anything extra, but it isnt't a bad purchase either. And watch out for a bit tricky plug! Bon rhum très sur le caramel et des notes chaudes. Is this a complex great rum? No but this is a very decent tasty straightforward dram. Sweetness is just right. Doesn't seem like there is any added sugar here. Nothing objectionable here whatsoever. The flavors are good but somewhat understated. It has good mouth feel with a little butteriness. It is smooth with very little burn. It is simply a good everyday rum that I have no problem drinking neat. Better than most at this price point. Light on the color, ok on the taste and smoothness. About what I would expect from a bottle at this price. Not great but passable. If I'm stuck on a deserted island with a case of this stuff, I will happily go through it. But I don't see that happening in the foreseeable future (you know, because most people can predict shipwrecks...) In the grand scheme of rum: not great, not bad, just there. Ron Centenario 9 year old is easily available in the US. The initial flavor is pretty decent, but the taste turns into whisky like very quickly. The most surprising fact is that the 9y is much more smoother than the 12y. The 9y is quite dry and woody, with very mild afterburn at the end. Easily available in liquor stores if you are into whisky like rums, but this is not my kind of rum. 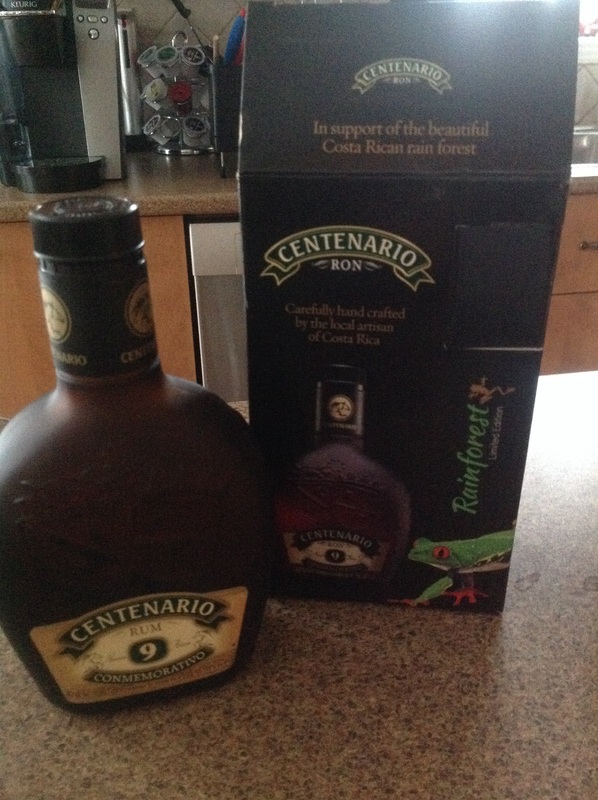 I really like the Ron Centenario Rums, and I like this one as well. But to me, this falls just a bit shy of their 12 year (more sophisticated) and 7 year (sweeter). Smells and tastes of brown sugar and caramel. Not as smooth as their 12 year and their even older rums, but good. If you're into budget rums, I'd recommend their 7-year to this (or better still the 12-year if you can afford it). But this is good too. I had a tasting of 7y, 9y, 12y and anejo special. The best was 12y and anejo special. 7y and 9y were behind. But these are not exceptional. 12y and anejo are average rums and the others are below average. It's a strange one.. I think it really does taste like a blend of basic Rum with basic Whiskey. Woody, little citrus, little vanilla, not very sweet, lightly colored. Quite warming. I will say tho... it mixed excellently with Ginger Ale. The light mixture of flavors, warmth and it being not very sweet really enhances the flavor and bite of normal ginger ale while diluting the sweetness. This rum is aged in whiskey and/or Brandy casks. Therefore it is getting specific taste from these spirits. It means that people who likes these drinks probably will like this rum very much. Mine experience was mixed, on one hand taste is different than expected but it is not maybe as pleasure as it should. Definitely taste to remember but nothing that I would specially look for. Tento kousek si mě opravdu nezískal. Ale na takové to domácí žvýkání se určitě hodí. This one was not bad, but very ordinary taste. Je ne suis pas impressionné. OK pour les mix. maly vitez mezi svymi kolegy 12 a 7. dobra chut doplnena prijemnou cenou. Personally very surprised how different Centenario grades are. 12 is exceptionaly good, 7 is ok, 9 is just worst. It has been a while since I tasted this, but all I remeber was bitter taste and featureless ending. ce rhum veilli en fut de chêne lui donne une note de caramel, épices et noisettes. merci a mon voisin qui m a permi d'y goûter! Je cherche déjà les autres de la même série.